Recently the crew of The MBS Show did a birthday shout out to Sabrina Alberghetti a.k.a. Sibsy. She is a storyboard artist working on MLP:FiM. The awesome part is that she replied to our birthday shout out. Last week most of The MBS Show crew attended the "8th Malaysia Bronies Society meet-up" and had the chance to meet up with almost all of the guest that had appeared on Show. During the weekend Daniel Ingram posted a little message on his Facebook Fan page. He posted a shout out to the brony community saying where the best fans in the world. Recreantly LA Weekly releases an article on Lauren Faust, in the article Lauren talks about her life growing up as a girl in a house full of boys. She also talks about how marketing for girls may lead to financial failure. 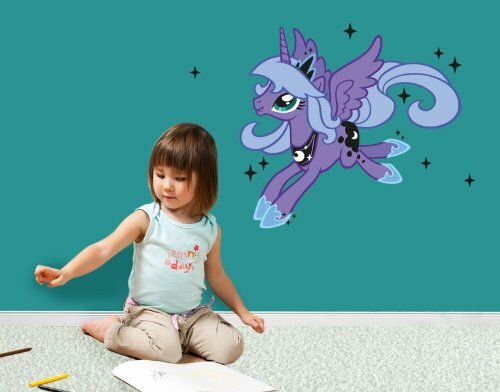 Over in Germany, the website Amazon.de and klebefieber.de are selling giant pony wallpapers. Various designs can be bought from both sites and all of the designs are good (And our host Normansanzo would not mind sticking up posters of Princess Luna on his wall). There has been a lot of rumours and speculations about Hasbro’s “Cease and Desist Directly Claim” over WhiteDove’s plushies. Wanting to clarify all the misinformation that is going around, WhiteDove has posted an update on the situation on her deviantART Journal. I NEVER RECEIVED A C&D, a C&D is an official document from Hasbro. Today’s guest is Ian Cheah. He is one of the administrators for the Malaysia Bronies Society and he is a MLP Twitter Role Player, listen to him share his story and learn a few things about him. On May 24th a very special some pony will have her birthday, that special some pony is non other then Sabrina Alberghetti. She is the storyboard artist for My Little Pony Friendship is Magic. We here at The MBS Show would like to wish Sabrina Alberghetti a very wonderful birthday and may all of your wishes come true. We have great news “The MBS Show” is now officially on iTunes. Now we can officially call our show a podcast. Please subscribe, rate and give a positive review for the show. Link to the show can be found on the show notes. The MBS Show got featured on Equestria Daily’s Nightly Roundup #320 in the podcast/vlogs/ect section. How do the host feel about it? Link to EQD Nightly Roundup #320 can be found in the show note. In the recent Ottawa Comic-con, John De Lancie announces that he will be hosting a “Brony Documentary”. The reason for this is, he was unhappy with the way that the media was portraying the community and he wants to do something about it. Link to the announcement can be found in the show notes. Here is an update to John De Lancie’s Brony Documentary. He has started a Kickstarter Page asking for donations to fund the documentary. The goal is to reach $60,000. For donating to the documentary donators will get certain bonuses. More information can be found in the show notes. After 3 days of establishing the Kickstarter, John De Lancie’s BronyDocumentary has reached its goal of $60,000. Rumours are a brew with “The Brony Thank You Fund”, they say that it is a scam and they never even wanted to fund the commercial and run away with the money. So the fine folks at EQD got in contact with The Hub asking about the matter and a spokesperson for The Hub has confirmed that the network has been contacted by “The Brony Thank You Fund” about the possible purchase of commercial time. They have a Cafe Press page for you to get some of their swag. A spokesperson has been selected for the commercial and it’s Mari Ohman an eighteen-year old high school senior from Colorado. 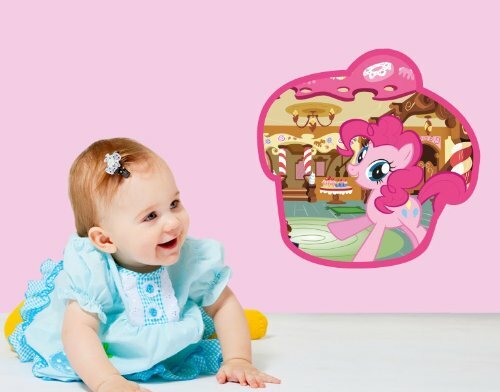 “The Brony Thank You Fund” has decided on a charity to support, the charity that they are going to support is The Marine Toys for Tots Foundation. An IRS recognized 501(c)(3) not-for-profit public charity is the fundraising, funding and support organization for the U. S. Marine Corps Reserve Toys for Tots Program. Also recently one of the founders of “The Brony Thank You Fund” James Turner was contacted by Margaret Loesch, President and CEO of The Hub. The first tweak they suggested was to make the ad more representative of all MLP fans by opening with "Hi, We’re fans of My Little Pony: Friendship is Magic, and we’d like to say thanks. ", rather than "Hi, we're bronies." We're not throwing out bronies, though. It's now at the end of the ad: "And to the creators and writers for bringing a little more honesty, loyalty, laughter, generosity, kindness and magic into the world, for kids and bronies alike." The second tweak was to change the wording to acknowledge the contributions of all the creators, rather than referring to specifically to Lauren Faust. Way back when on episode 8 we covered on the My Little Pony Lego needing our support. Now the project is almost a reality, the project has reach 7,021 votes and it needs more to make it a reality. Link to the MLP Lego Project can be found in the show note. Anthony Bourdain is one of the well know brony celebrity out there, being the host for the show “Anthony Bourdain: No Reservations” he gets to eat a lot of strange foods. Recently he went to Finland where he tried horse meat, in one of the voice over he said “So Terrance let me try some horse meat... or is it pony meat, oh Rainbow Dash look at you now” and proceed to eat the meat and sang the MLP theme song. Link can be found in the show notes. Today's guest is Normansanzo. He is one of the founders and producer of The MBS Show, listen to him share his story about the founding of The MBS Show. “Bronies for Good” is a networking and support group for any Brony who shows a genuine desire to reach out to people and problems that many of the people in this world tend to disregard. Recently “Bronies for Good” has started a fundraiser called “Seeds of Kindness”. The primary goal is to raise USD$10,000 for non-profit charity “Your Siblings” to build a medical clinic in Uganda and any donations past that goal will help fund construction of a Green Village in the tiny Republic of Burundi to house homeless children and refugees. As an incentive for donating, you will get a 41 track album composed by various community musicians. Daniel Ingram was recently nominated for the Daytime Emmy Awards for “Outstanding Original Song - Children’s and Animation” category. The song that was nominated was “Becoming Popular (The Pony Every Pony Should Know)” and “May The Best Pet Win”. For those who are wondering why songs like “The Flim Flam Brothers”, “The Smile Song” or “This Day Aria” was not nominated, was because those songs were aired in 2012 while “Becoming Popular (The Pony Every Pony Should Know)” and “May The Best Pet Win” were aired in 2011. Links to the other nominees can be found in the show notes. Over some places on the net such as Reddit, there’s a bit of a storm brewing on about the Brony Thank You project. To jolt your memory a little, the Brony Thank You project was a thank you initiative by the Brony Thank You Fund. The Brony Thank-You Fund is a registered New Hampshire non-profit organization and the purpose of this project was to place a recurring 30-second ad on the Hub thanking the producers and all the people behind MLP:FiM for all their contributions. The Hub even offered a competitive rate of $2000 per 30-second slot to the Fund after they were approached. The fund has successfully hit their $12000 mark and has pledged the remaining funds towards charity. Their script has already been approved by Hasbro and The Hub and is on the way to becoming a reality. Some say that the project is a waste of money while some think that it’s an amazing way to give back to the producers. 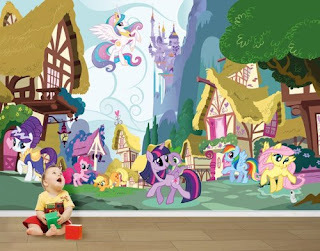 There have even been opinions that showing bronies on TV could impact the impression that parents have on the show. Today's guest is Xen Gk. He is one of the founders of Comic Fiesta, listen to him share his story about the founding of Comic Fiesta and his opinion on Anime and Ponies. First off I'd like to say I absolutely love the show. Just a short comment this time. I too noticed the Homestuck/Brony crossover in the fandom. The overlap is uncanny, and some (e.g. the Moonstuck tumblr) are really well done. Well looks like our host Normansanzo is a lot more like Derpy Hooves then we think. In the last episode he thanked “Michel” for correcting the websites header but it was suppose to be “Michelle”. Some times when we watch the show we may notice some stuff and ask ourselves “Where have I seen this before?” Well if you have, those are called “Reference and or Parody”. Recently a fan made “My Little Pony video game” was made available for download. The game is called “My Little Pegasus: Kizuna DoPonyPachi” the game is based on a game called “DonPachi” a very popular top down vertical shooter game. Today's guest is Anastassia Irina or Tash for short. She’s a local brony cosplayer and an aspiring fanfic writer. Listen to her talk about how she got started with cosplaying and maybe you too can learn a thing or two from her. (Seriously, the audio quality from Tasha's side is at least 20% cooler, obviously better). I can hardly understand Emilio since the first line spoke on the MBS show; and till today I can only make out about half of his sentences! Tasha is clear on the show; Emillio is fuzzy all the way. And no, he's not the pony type of fuzzy. Thanks, I love you guys too (no homo).